Today is the day stop-motion hit full stop and animation became forever less animate. 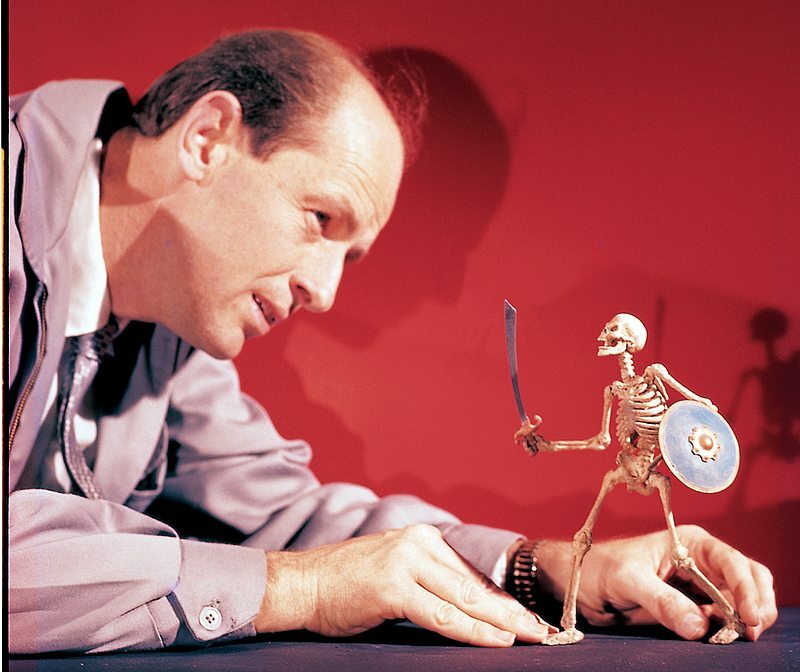 Ray Harryhausen, special effects artist and inspiration to damn near everyone, has died. We at Stand By For Mind Control take our hats off to Ray and bow our heads in respect. He was a master at his craft and his craft was filmmaking. If you’re not familiar, Harryhausen added his inspired blend of creativity and special effects to films such as Clash of the Titans, Jason and the Argonauts, The Beast from 20,000 Fathoms, and The Seventh Voyage of Sinbad. Today, with computer animation and CGI making up 90% of most blockbusters, the idea that you’d have to create models and move them, painstakingly, by hand seems old-fashioned. It isn’t and it wasn’t. This way of bringing the fantastic to life — unlike CGI — is tangible and real. Harryhausen’s creations have weight and substance. They, and he, should be remembered and cherished forever. So when you head off to the multiplex to see Wrath of the Clashing Titanic God-Like 300 Sword Dragons in Winterfell, think of Ray. He did it first and he did it better. May the skeletons raise their swords in salute. A true titan has left us.